We will all encounter a leaking tap at some point. A leaking tap may even keep you awake during the night & can be the cause of excess water. Coming home to a flooded house, or being woken at night due to a burst tap is not want you want or need. Trying to locate your isolation tap or water mains, contacting your plumber can cause a lot of stress & unexpected expense. A leaking hot or cold tap is usually caused by the washer deteriorating & the tap seats becoming cracked or gouged. 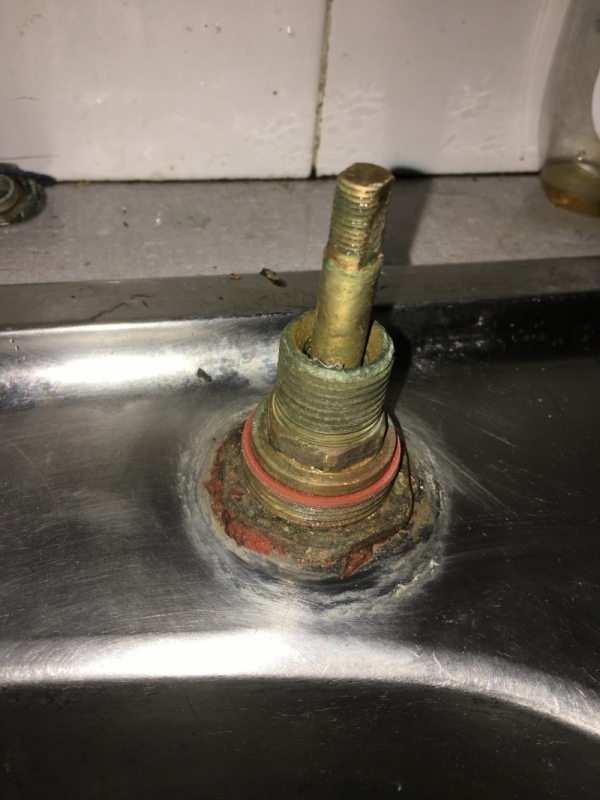 Once a tap starts to drip, the natural reaction is to tighten the tap, but over tightening the tap will eventually lead to further deterioration of the tap seat, and potentially cost more in repairs. Burst taps & burst water services are two of our main emergency. We recommend you attend to taps as soon as you feel them become stiff to use, or notice them starting to leak. Take a look at the braided water services to the tap every now & again. 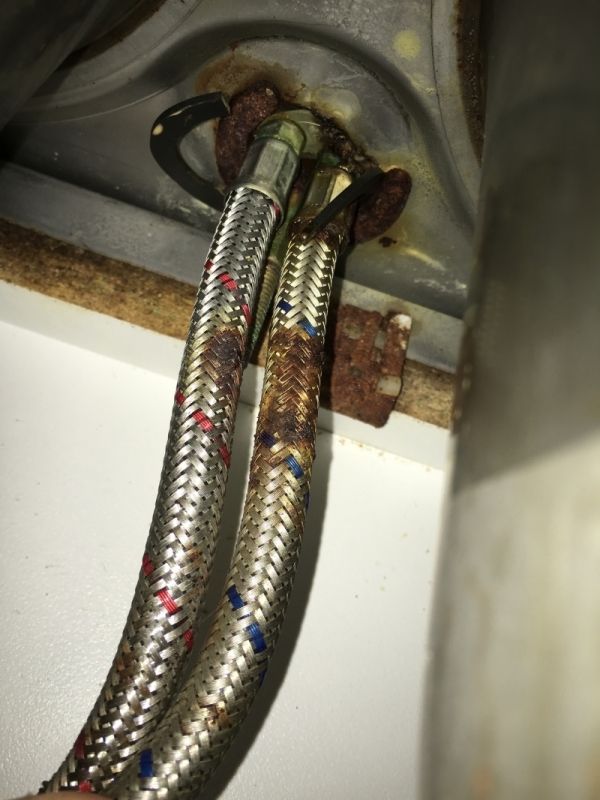 If the braid has a swollen section or a rust mark like these photos, then its time to replace the water services as well. If you need assistance with leaking taps, Moyle Plumbing carry most materials to fix leaking taps in their vans and are able to repair or replace most brands of tapware. If you taps are leaking, we do not just replace the tap washers, but give the taps a full service at a minimum cost. Our plumbers are experienced, use quality tap washers & guarantee their workmanship. Flick mixer taps often leak from the internal cartridge. Some mixer taps are suitable to have a cartridge replaced, while others need the complete mixer tap replaced. Moyle Plumbing carry both cartridges & new mixer taps that suit most situations. If your needing a plumber in Logan City, Beenleigh or Northern Gold Coast areas, give Moyle Plumbing a call & we will prioritise your tap repair.